It is a well known fact that for many years, since the start of instant messaging, my nickname (started in ICQ of course) was the geeky “Wizard of Oz”. Ok, you can laugh… So did I when later on I changed it to the (still geeky) short form of “Wizard”. It was meant to show how well I master the art of computer programming, or is it? 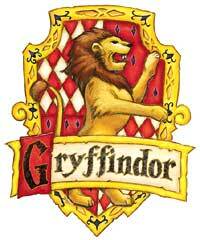 Watching with my eldest son, Dor, one of Harry Potter’s films lately, I discovered that some of the characters belong to the Gryffindor house (and were descendents of Godric Gryffindor). Doesmy IM nickname and my son’s nameconnected some how. Whenwe named him Dor I haven’t heard about Harry Potter, so is this the hand of fate? Do we descend from the Gryffindor house? This entry was posted in Mystery and tagged Gryffindor by miron. Bookmark the permalink.